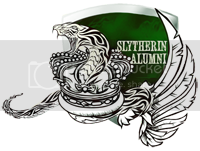 Students and Staff of Durmstrang Institute I must announce that Prof. Siegfried Alexandrescu will no longer be acting Head of House for Niflheim , however he will remain on as Professor at the school, as well as Head of the Dark Arts Department. Please take a moment to thank him for all his contributions to Niflheim and to Durmstrang as a whole. We look forward to continue to see him excel in the Dark Arts Department. Stepping into the position of Niflheim Head of House will be Prof. Jared Wayland. Jared has previously worked in St. Mungos while his writer has had previous experience as Slytherin Head of House as Prof. Nearra Morgan-Ryuu. We are excited to have him on board and look forward to what he can bring to Durmstrang. First of all, I want to thank Victoria Monteiro's writer for proposing me as Tyr HoH More than a couple years ago. It's been an honor to be part of the swedish administration for so many years, and to all the acting Headmasters for trusting me and for the great memories. It's a sad day for me, but I know Niflheim is in good hands. Goodbye my lovers, goodbye my friends. Thanks for being a terrorizing great leader, Professor Alexandrescu! Still, hoping to see you around the castle! Uncle Jared... congrats. Did mom put you up to this? See you in school! Thank you for the warm welcome, and thank you Siegfried for the work you have done for Niflheim for many terms. I have big shoes to fill and I will need all the help and contribution from each and every one of my Nifflers out there. All I can promise is I will do my best and try not to be too much of a hermit. I do get out of my shell every now and then.